Gunston Hall is a historic banquet hall wedding venue in the Washington, D.C. area. At this museum mansion couples can use the grounds or the rooms inside for their wedding. Located in Northern Virginia, this venue is approximately 40 minutes from downtown Washington, D.C. Couples can invite up to 200 guests to their wedding at Gunston Hall. With 550 acres of careful landscaping and views of the Potomac River, this venue has plenty of outdoor space for couples to have a ceremony. Couples can use the stunning tree-lined drive for photographs on their big day. For receptions, couples can also set up tents on the grounds to host their full guest list. The Ann Mason Room in the visitor center and its adjoining private courtyard make the perfect wedding ceremony and reception combination space. In addition, couples can host their bridal shower, engagement party or rehearsal dinner in these event locations. 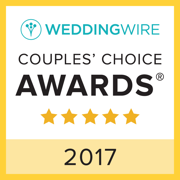 This venue is rife with historic brick walls, vintage accents and lush green outdoor areas for couples on their wedding day. This mansion's construction was completed in 1759. It was crafted for George Mason IV. This example of Georgian style has hardly changed over the years save for some modern updates to its antiquated systems. It was constructed by two Englishmen who brought over design and architecture elements popular in London at the time. A large number of Mason pieces still remain at the mansion, showcasing the lives of the family during their stay in the house from 1759 to 1792. The home stayed in the family until 1867. We LOVED Gunston Hall, and especially Nicole, our main contact there. We chose it because it had an indoor option in case of rain, but luckily were able to go with plan A and be outside overlooking ... Read more the river and under the big tree near the house. 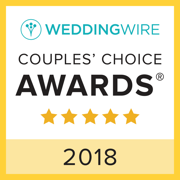 Their team was wonderful - I loved that the chairs and tables and setup were included, that we had a shorter time option (5 hours was plenty for our small 68 person wedding! ), and of course being able to have such a gorgeous backdrop for our ceremony and reception. Their vendor recommendations were so helpful, the getting ready rooms are perfect, and the location feels quiet and away from the sounds of highways and the city. Thank you, GH! If you are looking for a BEAUTIFUL and reasonably priced venue Gunston Hall is the place to go. I had such an amazing experience. 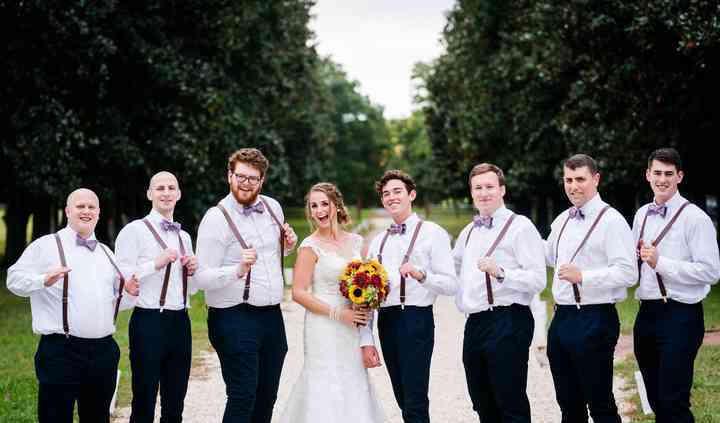 They helped to make my wedding day all that I wanted. Read more If you are looking for a BEAUTIFUL and reasonably priced venue Gunston Hall is the place to go. I had such an amazing experience. They helped to make my wedding day all that I wanted. 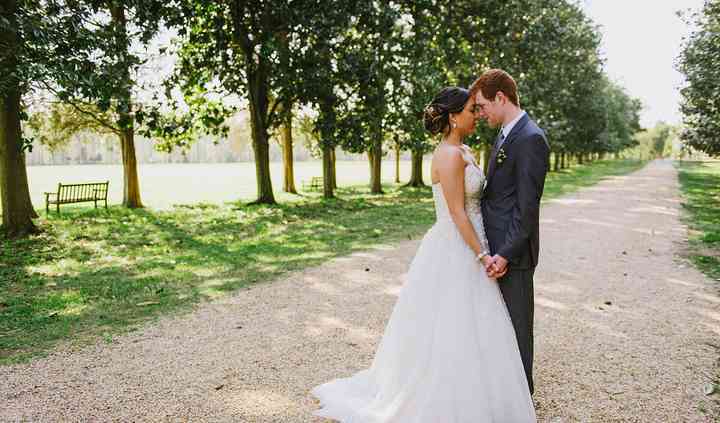 We can't say enough good things about working with Nicole and choosing Gunston Hall for our wedding. It was the best decision we made for our wedding. All of our guests thought the property was ... Read more beautiful, and Nicole went above and beyond to help us. She met with us several times in the course of our engagement, helped us figure out the best place to hold the various parts of our day (we did both our ceremony and reception on site), was incredibly responsive via email, and helped with set-up and breakdown of our wedding. She was also incredibly sweet to our dog who served as the "Best Dog". Gunston Hall was the most perfect place for us and I am so happy to have these memories. One day, we hope to hold an anniversary party there and bring everyone back for another spectacular celebration! A wonderful, historic and gracious location to have a wedding. Nothing disturbs your stay and you are in a very beautiful spot and in the richest tapestry of history in the country. 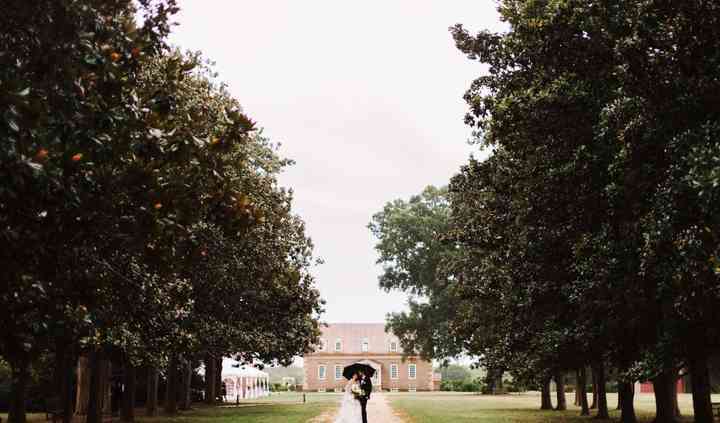 Surrounded by nature, yet close at hand, Gunston Hall is a marvelous place for a wedding. I cannot say enough about this incredibly gorgeous location! What a work of architecture! And the grounds are equally as stunning. This is the perfect place for the classic, joyful, and romantic bride to tie the knot with her Prince Charming! Being on the property is like stepping back in time. As you drive up the long, tall tree lined driveway, you can see the mansion in the distance as the perfect backdrop. Walking around the property and the gardens, you truly feel as though you are in a place of historic significance. The visitor center also has a quaint ballroom for use!